The 10.6 SUP is super accessible and has a totally new shape with a round nose and tail! This cares for manoeuvrability making it one of the most playful boards in its range, but likewise super stable due to its wide shape. Use its bungee cord to carry stuff around on your discoveries and easily carry the SUP around by using the supremely comfortable neoprene graphandle from outer space. 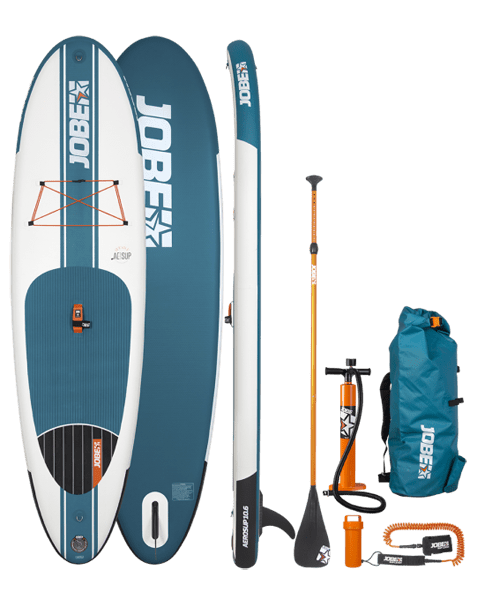 The Aero SUP 10.6 package comes with a specially designed bag, aluminium paddle and pump in matching colours and 8” inch single fin assembled in a US fin box. This SUP is perfect for flat water conditions: lake, river, canals. Lenght: 10’6″ Width: 31,5″ Thickness: 6″ Board volume: 310L Recommended Rider Weight: Up to 120 kg Board weight, fin included: 9.0 kg.